Today while working at the yoga studio, I was assigned the task of going through the Lost & Found to purge old items. In most industries, this task could be considered quite the adventure - like searching for hidden treasures in a shipwreck at the bottom of the sea! But alas, I work in a POWER yoga studio (read: HOT and SWEATY). Thus, the Lost & Found takes on similar characteristics as the studio at the end of a 50-person power class (read: Moist and Smelly). Once I began to dig in I noticed that the Lost & Found didn't smell that bad. But what actually perplexed me the most was why I was chosen to conquer this mission. You see, I am a Pack Rat. I find sentimental value in EVERYTHING, and the things that I'm not attached to, well, I might need them someday. Anything can be considered useful. I attribute this to being raised by Pack Rat parents. I grew up in an environment where my parents constantly complained about not having enough storage space even though we had an attic, a two-car garage, good-sized closets in every room, and for awhile, a spare bedroom. Not to mention, my aunt who has had a considerable influence on me, well, her nickname is Messy. As you can see, I never stood a chance. 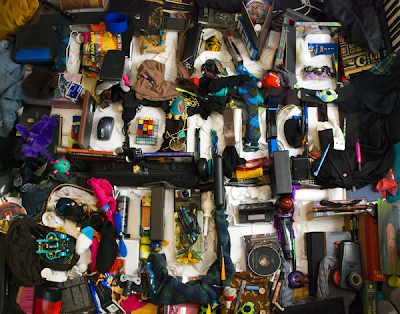 In the battle of nature vs nurture, nurture won and I became a hoarder. Upon further investigation I learned that the word Pack Rat (which is actually spelled "packrat" according to the American Society of Mammalogists) is actually another name for the woodrat (Genus Neotoma) - a species indigenous to my homeland of California. 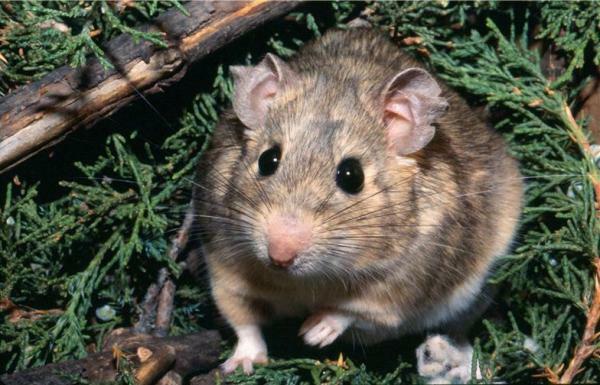 Woodrats build nests out of anything they can get their tiny claws on. Their nests have many chambers and when their homes are encroached on, they will move to the attic or walls of their little houses. Similarly, my own house is packed with items which I've come upon opportunistically (I have a hard time saying no to free stuff). When these items encroach upon my territory (i.e. my bed), I will simply relocate to somewhere more open (i.e. the couch). Woodrats are fond of shiny objects. So am I. So for me, the HARDEST part of going through the Lost and Found today was not keeping souvenirs. I was about 95% successful in this endeavor, which is really good for me. Don't judge. The question of the day is this: When I'm traveling around the world teaching yoga, where on earth am I going to PUT all my stuff ?? !